For a student with autism, conversations are hard. For a student with autism who uses an AAC device, they are even harder. For that reason, I created a deck of twenty conversation cards. I hope that this is the first of several decks that I will create. The free download is here. They are printable and the fronts and backs of the cards print separately. I recommend mounting the fronts on card stock, cutting them out, and then applying the backs separately. They don’t match up correctly if you try glue the pages back-to-back. I laminated mine and that works well! The cards are divided into different categories: giving compliments, what questions, where questions, when questions, and who questions. 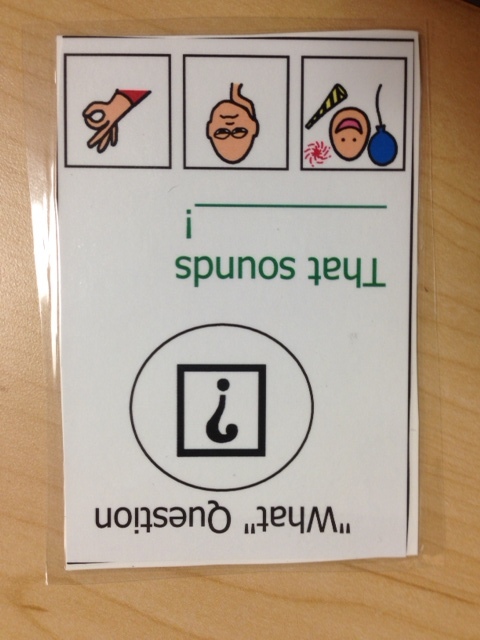 The ‘scripts’ are color coded to indicate when it is the other person’s turn to speak. Each card has two sides. Communicator A follows the green text. Communicator B uses the red text to respond. He/she may choose one of the options on the card to respond or come up with his/her own answer. Communicator A responds to B’s after school plans with a comment. No text is presented with the picture choices to avoid echolalic responses. 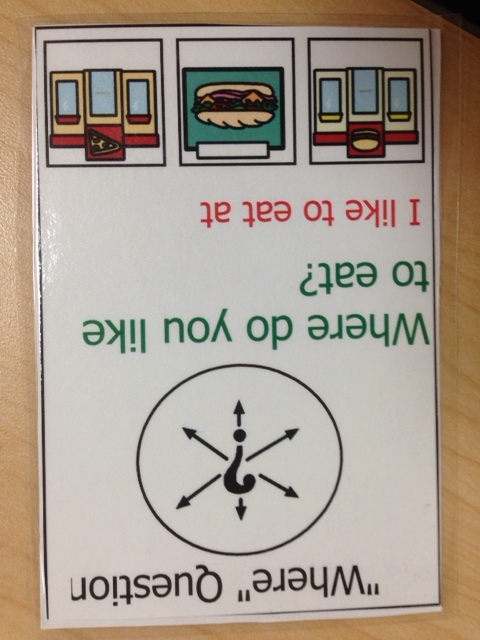 These cards are good practice for students who struggle with reciprocal conversation. I introduce them 1:1 and then use them at times when typical students would engage in conversations (i.e. eating a meal in the community, leisure times, etc.). 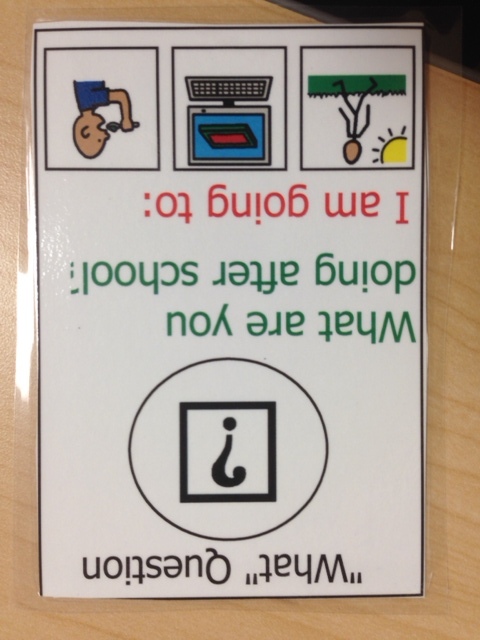 They are ideal for low-level readers and students who use AAC with a core vocabulary. When students need to choose an answer, picture supports are provided without text so students must practice word retrieval and are less likely to just read or type out the first or last choice. Communicator A (green) asks Communicator B (red) about his favorite place to eat. Here, communicator A will need to choose their response based on B’s opinion. The free download is a PDF file. If you would prefer to be able to edit the file and you have access to BoardMaker software, leave a comment and I’ll send you the project file! An idea that I have seen but haven’t tried is to have a conversation box. 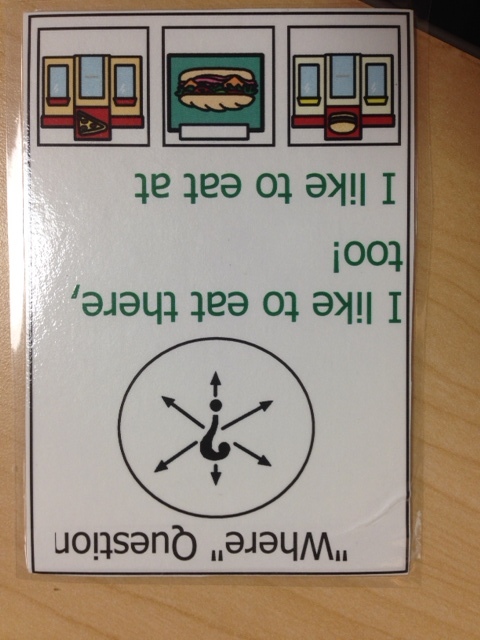 You can place it in the middle of the table during snack or lunch and have students pick a card to talk with a classmate. 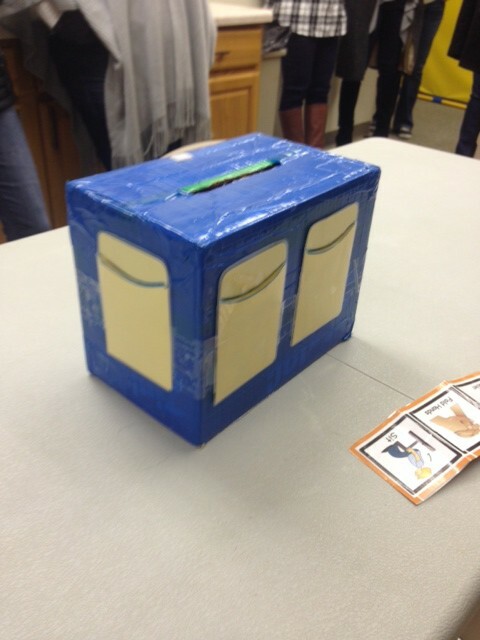 After he is done, he can put the card in the slot in the box! No problem! Do you have an email address I can use to send you the file? Hi I really loved your blog and I can’t wait to read more so I have followed you! I am a student speech and language therapist from England and I found your blog so inspiring! Please take a look at my page and follow if you want to- thanks! I took some time off from the blog in the summer, but I am glad you found it and are enjoying it! I followed you as well! This is great! Can you send me the editable version or link?